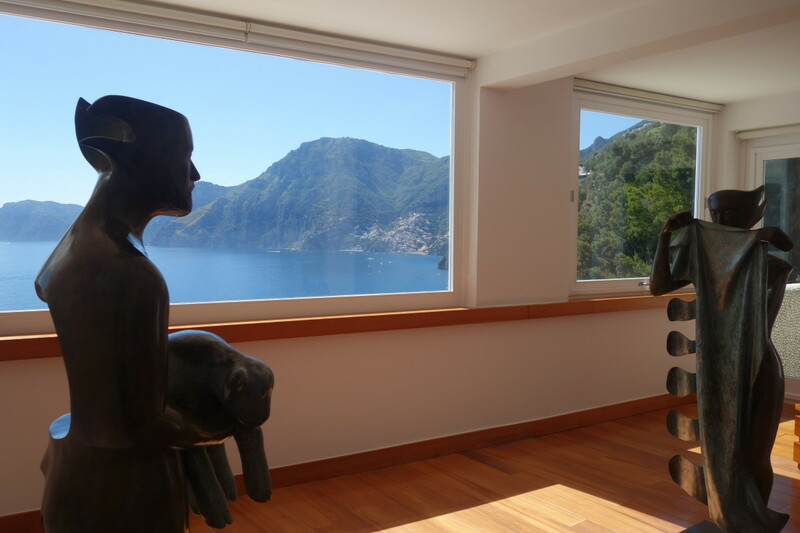 Tucked away at the bottom of one of the Amalfi Coast’s steep cliffs in Praiano sits a minimalist’s dream. 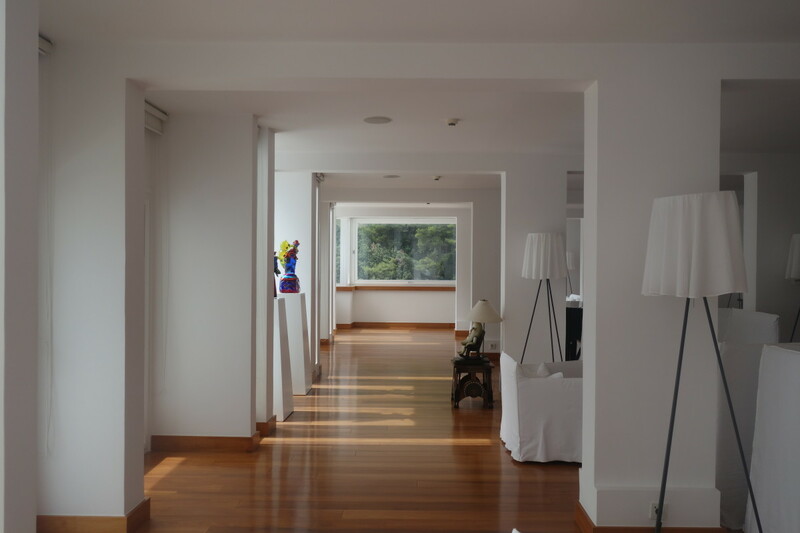 With gentle curves and a dazzling white interior, set against the vibrant blue sea and colourful Murano glass, Casa Angelina is unlike any other hotel along this stretch of coastline. It’s achingly cool – almost zen like – and will leave you floating. We arrived at Casa Angelina after a three hour, slightly fraught, drive from Rome. Tumbling out of the car, hot, tired and glad to be free of the sat nav, we were immediately met by the hotel staff who took the car keys and told us to make our way to reception, where fresh glasses of lemon water were waiting. Stepping inside the sleek, white hotel was a little like stepping out of hell (the Amalfi coastal roads) and into heaven. The views out over the Mediterranean and neighbouring Positano were breathtaking: I was already in love. We were given a tour of the hotel, where my excitement levels began to soar. From the beautiful pool, to the sunny terrace bar; the indoor gym to the piano bar; I wanted to be everywhere, all at once. 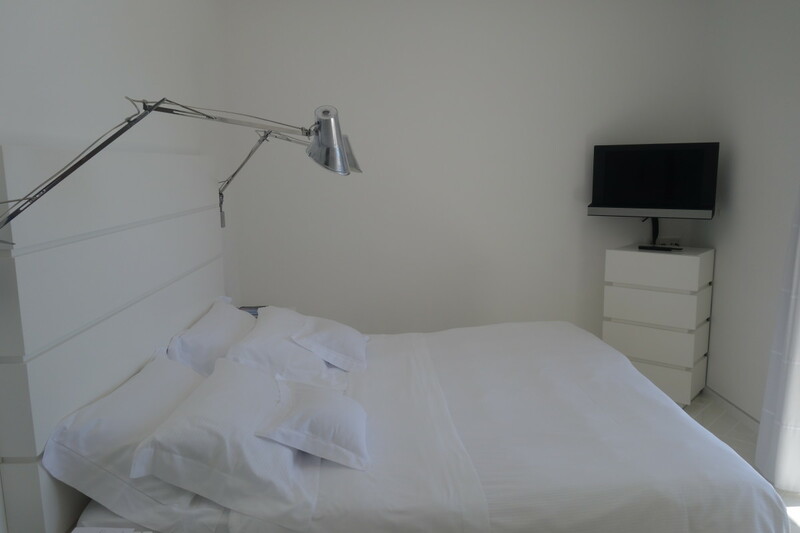 Unsurprisingly, our room was no different in terms of minimal luxury. All white, the only added colour was the blue of the sea reflecting through our balcony doors. It was truly the most beautiful hotel room I’ve ever seen. Collapsing onto the bed, with the balcony doors open and the sea breeze blowing through, I stared out over the Mediterranean and had to pinch myself that this was to be my home for the next nine days. This was better than my wedding day. 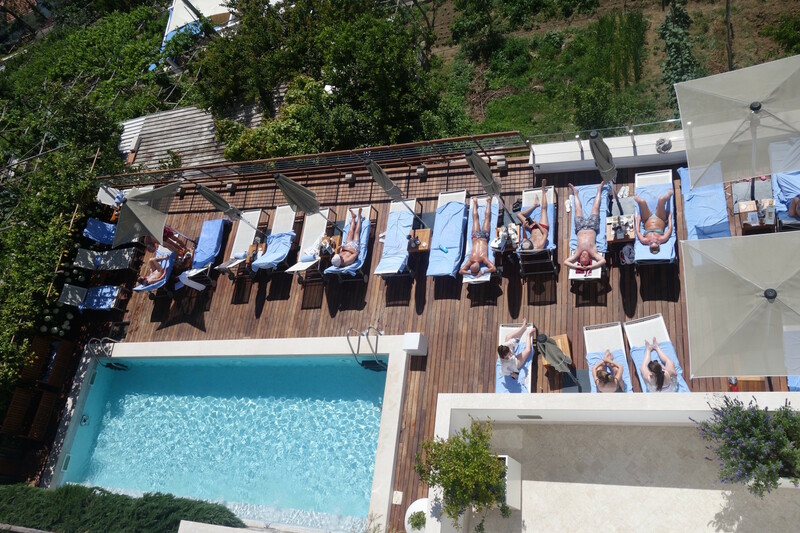 The hotel offers two options in terms of relaxing in the sun (or shade): either the hotel pool where sun loungers are provided under colourful lemon trees, or at the One Fire Beach club. To get to the latter, a lift from the hotel takes you to the steps that take you down a beautiful path to the sea. With a hotel token, you are given a complimentary towel and water. If you’re feeling a bit more energetic, the hotel gym offers morning classes such as pilates, Bodybalance and yoga, and if you’re feeling extra energetic, a personal trainer is on hand to give you a one-to-one session. I did keep meaning to try a class but unfortunately I was distracted each morning by eating my entire body weight in delicious cakes (more on that to come). A huge factor in making this hotel so great is the staff. From handing you fresh fruit or strawberry ice creams by the pool, to leaving different cakes and chocolates on your bed each night, staff at Casa Angelina go out of their way to make you feel incredibly spoilt. On our first night, we returned from dinner to find a hot bath, filled with rose petals and gently flickering candles. I’ve heard of these romantic goings on before, but having never experienced it myself. I felt very special. Staff at Casa Angelina are also on hand 24/7 to arrange any trips you may want to do if you’re without a car. For example, arranging a driver to take you to Pompeii or arranging a romantic dinner for you. Again, being used to searching on TripAdvisor for a restaurant choice and then making our way there ourselves, this was a very different experience for me and one that I could certainly get used to. 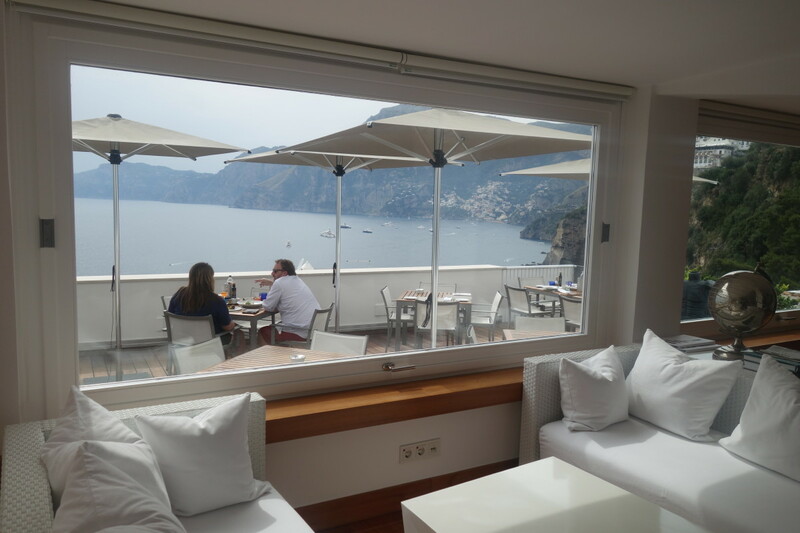 The hotel operates a shuttle service to Positano and so it’s easy to travel in and out of the town without the stress of public transport or driving yourself. We used the shuttle service most nights to go into Positano for dinner and were always deposited and collected on time: another small aspect of making our stay at Casa Angelina completely stress free. 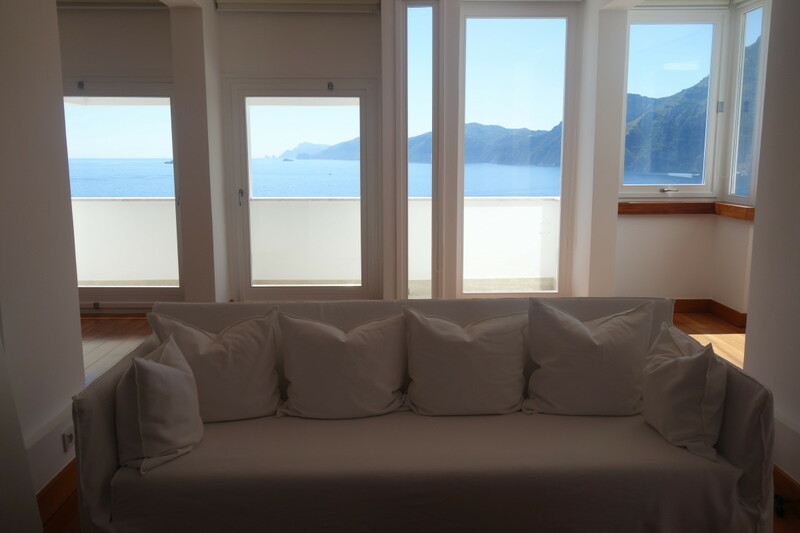 Situated in prime position along the Amalfi coast, Casa Angelina is the perfect spot to base yourself to explore the neighbouring towns. 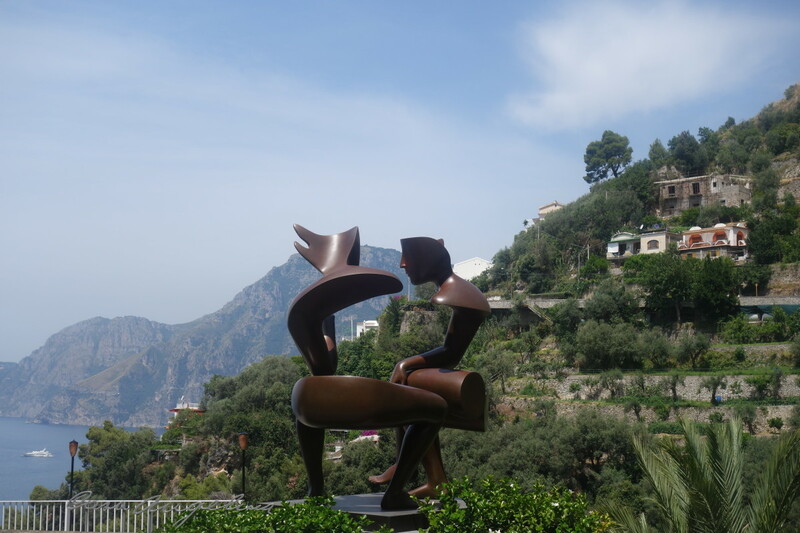 Aside from Positano being a stone’s throw away, it’s also easy to reach Ravello, Amalfi, Sorrento, Pompeii and Naples. I must warn you now, however, that finding the strength to tear yourself away from the pool to explore the coast is incredibly hard. Some of my best memories are of lazy days under the lemon trees at Casa Angelina, rising only to walk a few meters for a delicious lunch before laying back down for an afternoon siesta. This is truly the perfect place to unwind. Eating at the hotel is also beyond anything I’ve experienced before. As I mentioned in a previous post, five star luxury is not something I’ve had the privilege of enjoying before coming on my honeymoon, and my brain was completely overloaded by the choice and quality of food on offer. I would even go as far as saying that breakfast was a mildly stressful experience for me, with just too much choice. From cakes, to pastries, fresh fruit, to cheese, meat, to cereal, freshly baked bread, to pancakes, and omelettes, to doughnuts, breakfasts at Casa Angelina are epic. My advice? Don’t come here if you’re on a diet; it would be a miserable experience. Lunch can be taken on the sunny terrace, where even the seemingly standard salads were delicious (try the mozzarella and tomato option). If you’re looking for a really lazy day, dinner can be booked at the restaurant on the roof of the hotel. My only complaint of the dining experience at Casa Angelina? The men were given menus with the prices stated and women a menu without the prices. This slightly erked the feminist in me, but in no way ruined my trip. What made my stay at Casa Angelina particularly special were the small touches. Each morning, a small canvas bag with the day’s newspaper was left on our hotel room door; a lovely touch when you’re on your way to breakfast and looking to catch up with world events. 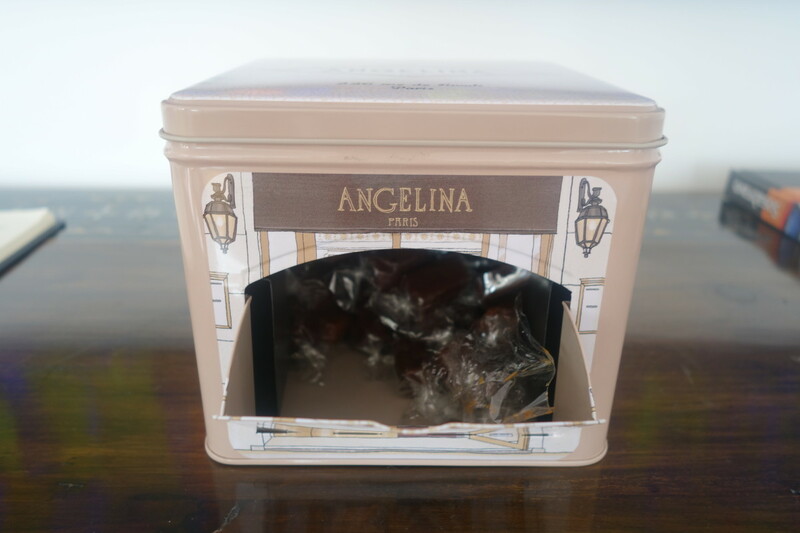 By complete coincidence, the hotel also offers my favourite treats in the communal areas:Angelina sweets from Paris, which I become obsessed with ever since Laura brought me back a tin from the city. I was very generous in treating myself to many of these throughout my stay. The hotel also offers a calm corner for those needing to catch up on work, complete with an iPad and printer. 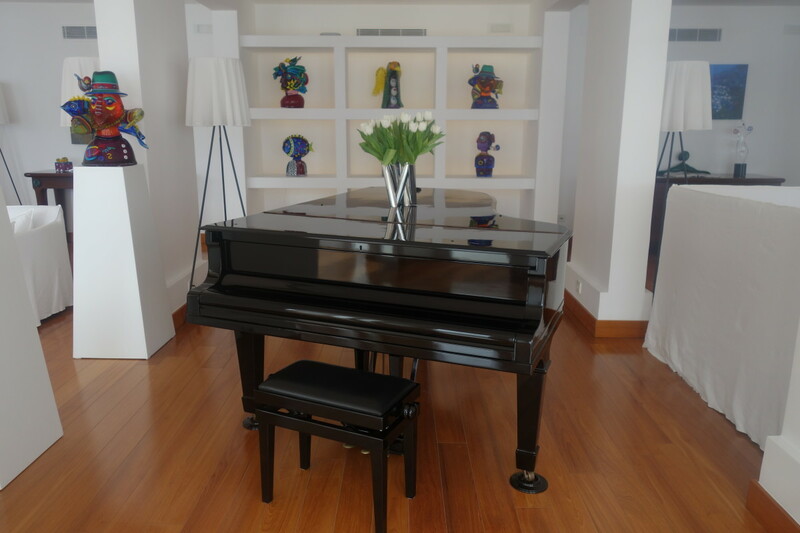 I was strangely drawn to this area, and in the afternoons when the sun became too hot, it was a lovely spot to do some blogging amongst the cool, calm white interior and gentle tinkling of music. Despite the hotel being completely white, there were pops of colour around every corner thanks to the Murano glass that adorns the hotel. 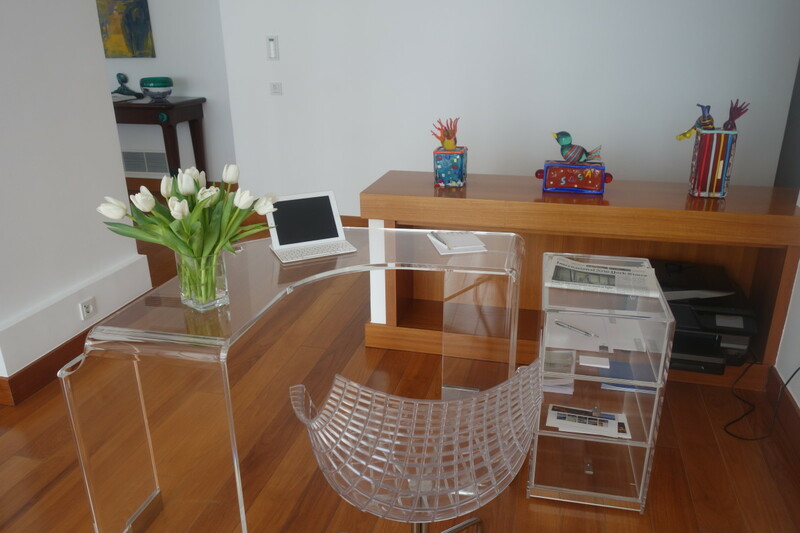 Designed in a quirky Picasso style, these sculptures brought a fun and relaxed feel to the hotel. I really enjoyed spotting new ones that I hadn’t seen before on my way to breakfast each morning. A lovely little touch. As with all good things, our 9 days at Casa Angelina flew past and when the time came to leave, I was in mourning. After two weeks of weddings and busy cities, this really was the most perfect spot to relax and indulge in a little pampering. It’s a hotel like no other and having a quick flick through the guest book before I left, it was clear to see that I wasn’t the only one to fall in love with Casa Angelina. 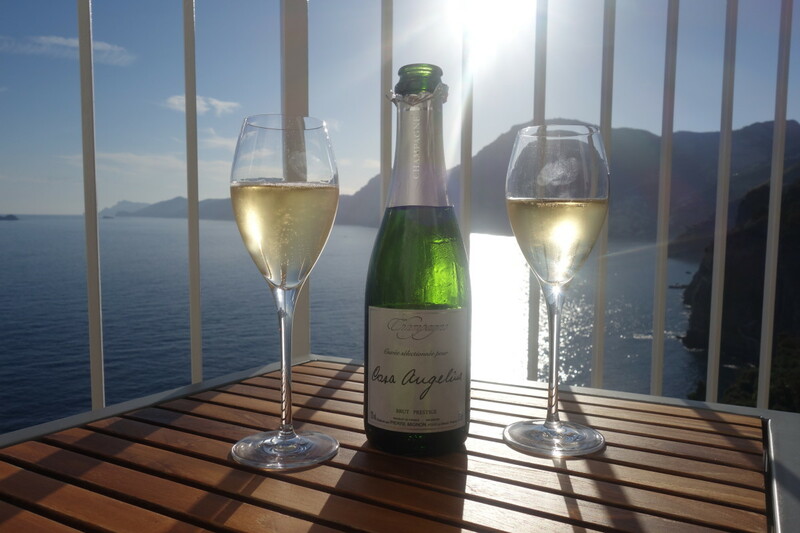 This truly is boutique luxury on the Amalfi Coast. 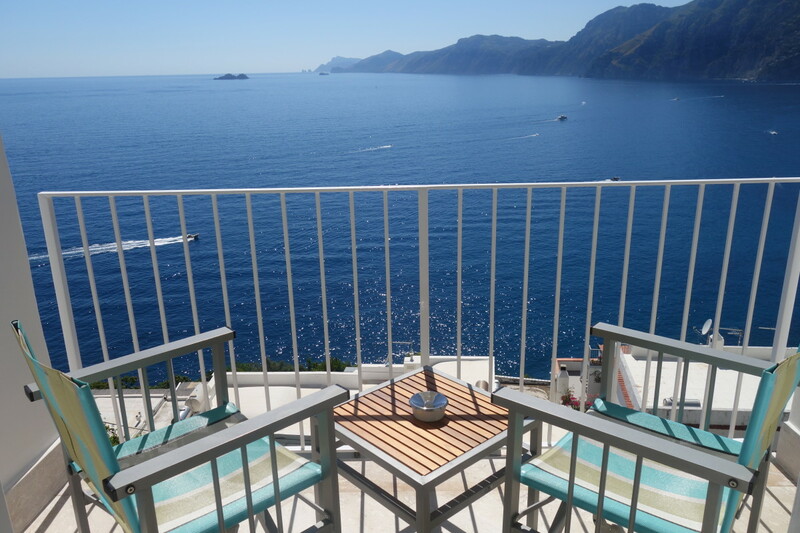 Have you visited the Amalfi Coast and have any hotel suggestions? Let us know in the comments below!